Daring Bakers everywhere baked crackers for the month of September. These are savory treats this time, Lavash Crackers! This month’s hosts, Natalie from Gluten A Go Go, and co-host Shel, of Musings From the Fishbowl chose the vegan and/or gluten free recipe to challenge us with. Now I don’t know much about vegan or gluten cooking, but I do love my veggies and this time, I just happen to have some eggplants from the garden so I made the accompanying dip with them and they were delicious! 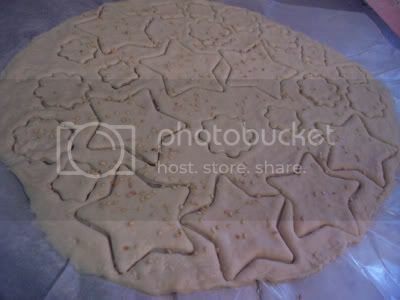 The dough for the crackers is perfect for my little dough makers who like to roll and cut out shapes from everything. Here’s how we did it, based on the instructions from our hosts. 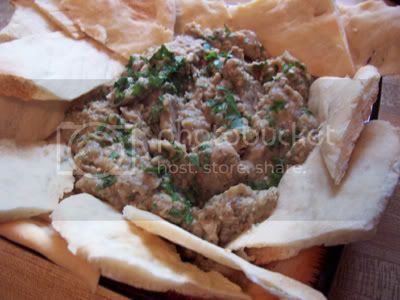 The Challenge: Make Lavash Crackers and create a dip/spread/salsa/relish to accompany it. This challenge allows for large helpings of creativity and personality, with the crackers, your flavor choices for the crackers, and with your dip/spread choice. You can create your own dip/spread recipe, use one of your favorites, or use one of the recipes we’ve provided at the bottom of this post. Get crazy ! Just be sure to post the recipe along with your challenge crackers so we can see what you made and how you made it (so we can try it, too!). The Rules: You have so much freedom! 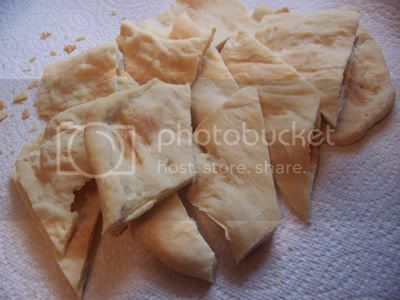 You can make the Lavash Crackers either with all purpose wheat flour or you can try making them gluten free. You may use any variety of spices/seeds/salt to top the crackers. All dips/spreads/relishes/salsas must be vegan and gluten free. 1. In a mixing bowl, stir together the flour, salt yeast, agave sugar, oil, and just enough water to bring everything together into a ball. You may not need the full 1/2 cup + 2 Tb of water, but be prepared to use it all if needed. The second half of the dough, the girls were in charge of and they chose to make shapes with their crackers. Overall, this was another fun Daring Baker challenge. Thanks to our hosts for choosing another unique challenge. 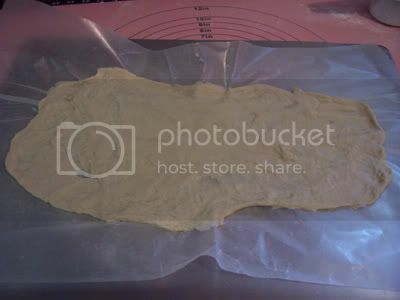 To see the work of other Daring Bakers, make sure you visit the blogroll. Your crackers look great! 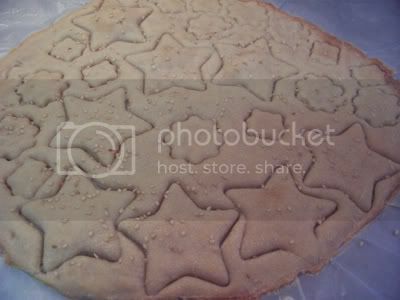 Stars are my favorite shape, I would totally eat those ones first. Hi Shellyfish! I loved that dip recipe. So much better than the stuff you get at most restaurants. This was another great challenge. Thanks again for hosting. I made stars with my little girl, too! 🙂 And garden-fresh eggplant for your dip? Color me jealous!